The Boys and Girls Club of Dane County will celebrate 10 years of Hearts for Helping, its second-largest annual fundraiser, on February 8. The semi-formal fundraising event will showcase wine and cheese from across Wisconsin and feature both silent and live auctions, as well as live entertainment. Proceeds from the event benefit the Boys & Girls Club 2019 academic and recreational programs. This year’s proceeds will support the Club’s summer programming and the outfitting of the Club’s new location in Sun Prairie. The event’s theme, A Storybook Celebration, highlights the expanding future of the Club and its achievements in Dane County. “Not only is it, celebrating ten years of the event, but also, it allows us to really talk about the story of the club, the story of a child going through all of our programming,” said Alex Murray, director of special events for the Boys and Girls Club of Dane County. 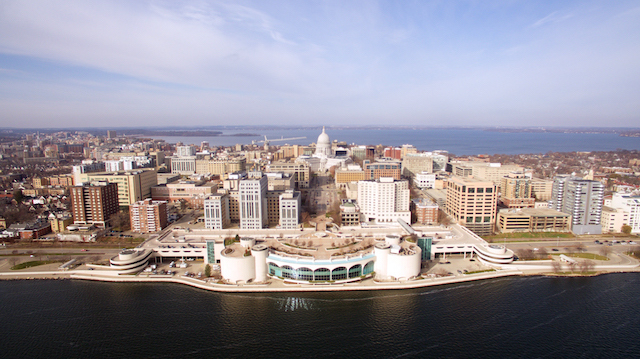 The event at The Madison Concourse Hotel and Governor’s Club will feature live music from Kinfolk Soul and entertainment by Cycropia Aerial Dance, one of the oldest aerial dance troupes in the U.S.
A VIP event will take place from 5:30 p.m. to 7:00 p.m., and the main event runs from 6:30 p.m. to 11:00 p.m.
Tickets can be purchased here. More information can be found on the Boy’s and Girl’s Club of Dane County’s website, and all questions can be directed to specialevents@bgcdc.org.